when ryan's parents were away on vacation a couple of weeks ago, we hung up some peg board and a light in their basement for them while we were catsitting. 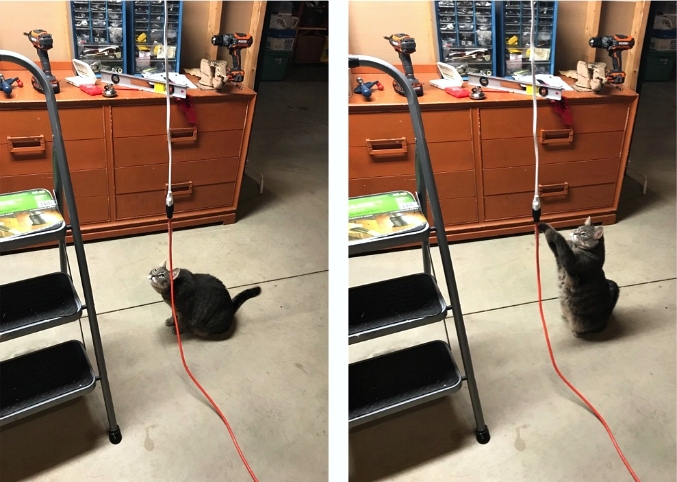 ryan snapped these pictures of pepper as she helped out with the light hang project. what a cute little helper! 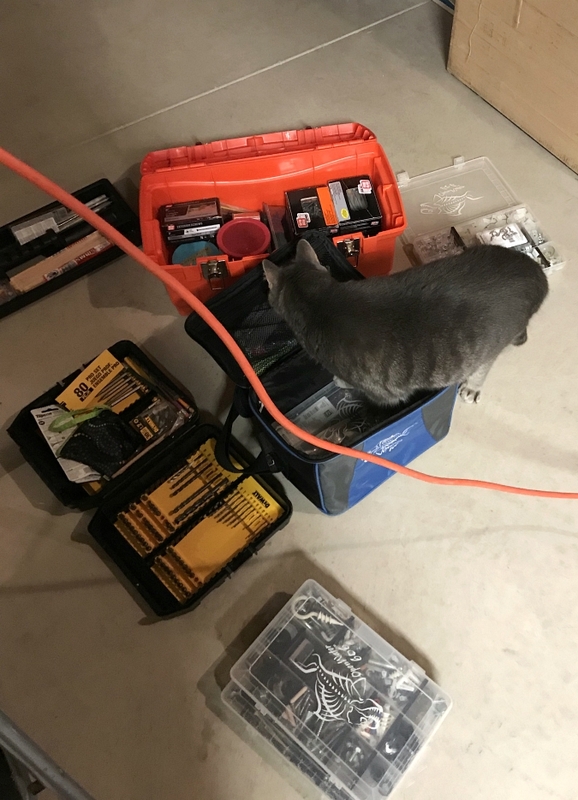 Ryan could not have done it so well without the furry help. Pepper is always anxious to help with any project and she especially enjoys climbing into any open container!